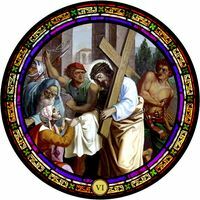 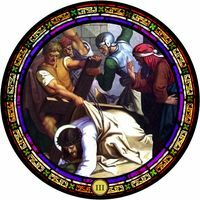 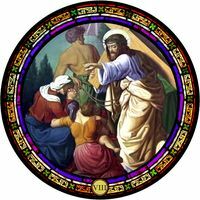 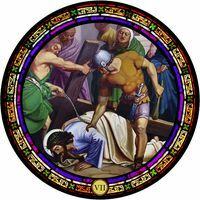 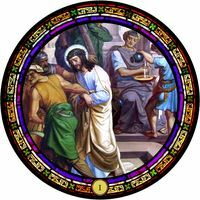 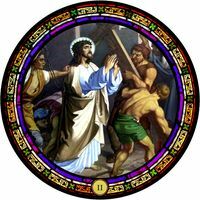 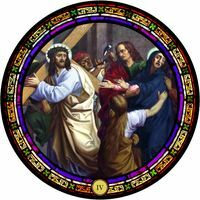 Display this breathtaking stained glass panel in your home or office. 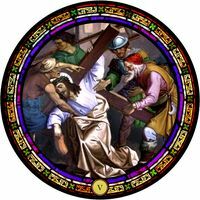 Excellent workmanship and artistry is featured here in beautifully translucent art glass. 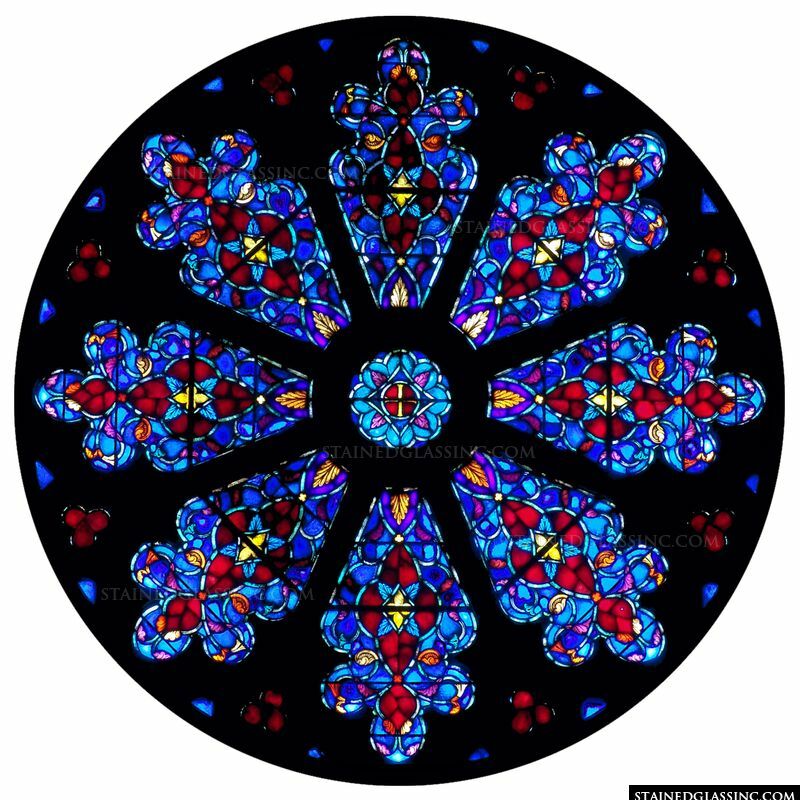 The geometric pattern and contrasting colors of this rose window add beauty and style wherever it is displayed.